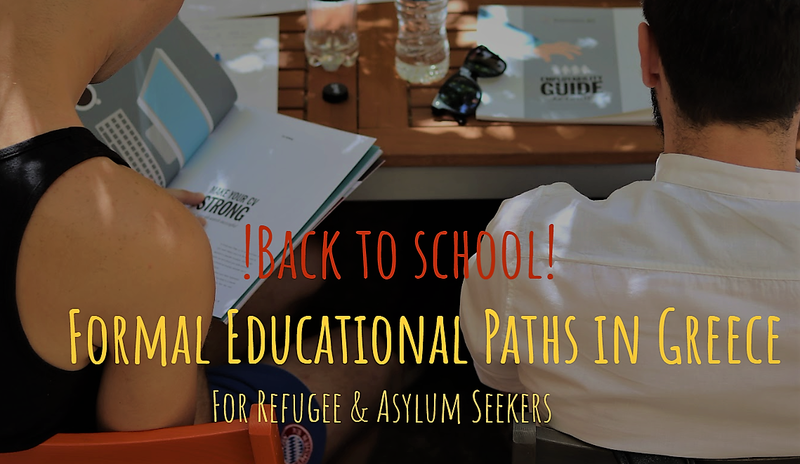 September is coming, so do GENERATION 2.0 RED’s workshops for refugees, asylum seekers and… all! Are you over 15 years old wanting to continue school but you are not aware what options exist in Greece? Do you wish to keep on working but you also miss going to school? Are you willing to get that high-school degree and continue later to higher education even if have you been out of school for many years? Join us in a seminar to learn all your options in terms of Formal Secondary Education and find out which is the best one for you to restart! Spaces are limited, so to reserve your place, send an email to [email protected] stating the workshop you wish to participate in, your full name, a telephone number and the language group you can attend.